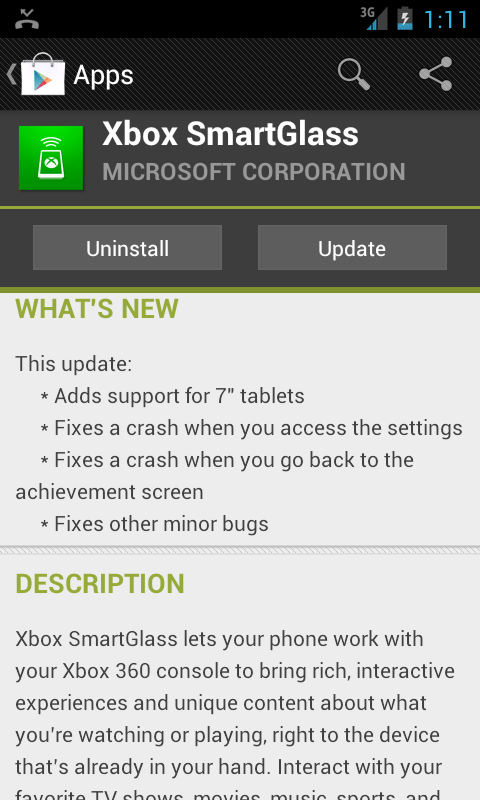 Today a new Xbox SmartGlass app update came out. It should natively support then Nexus 7. It does not however support the Nexus 10. You should be able to use this APK hack on your Nexus 10. 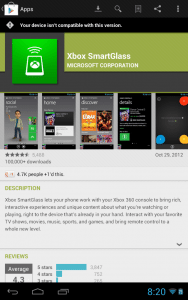 Since we’ve originally post this Xbox Smartglass is pretty much compatible with everything. 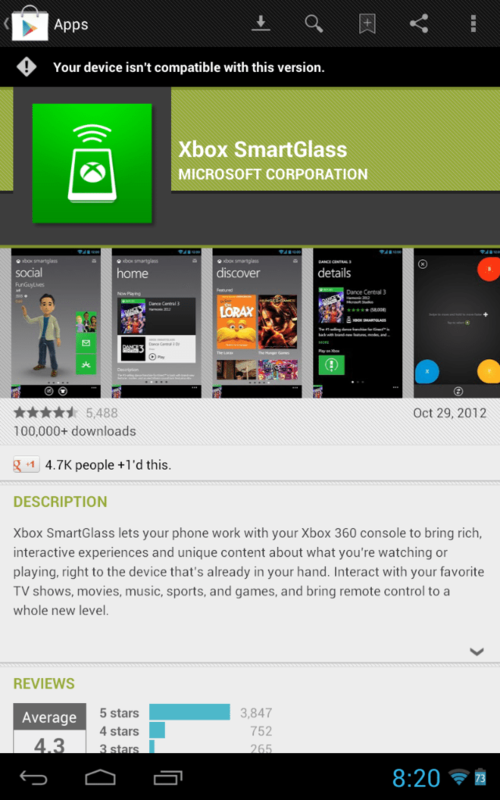 Here is the Xbox 360 Google Play download link.